Tags: idle, champions, update, event, grand revel, paultin, spotlight, dice camera action. A haunted Vistani Champion, the sole survivor of a massacre in Barovia who somehow escaped to Waterdeep, and 'The Bard Who Goes Hard': Paultin Seppa is coming to Idle Champions! Players will finally be able to include the entire Waffle Crew, including Simon the Murderbot, in their formations once Grand Revel begins. Paultin runs out of wine. Photo taken by Tyler Curtis at the Steam of Many Eyes. I. Who is Paultin Seppa? 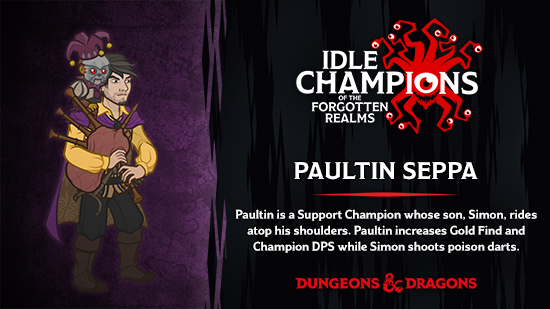 Paultin Seppa is a Support Champion whose Murderbot son, Simon, rides atop his shoulders. Paultin increases Gold Find through his Lucky ability and increases the DPS of Champions who are not adjacent to him based upon the number of Champions who are with his Magical Secrets ability. Paultin doesn't always attack, choosing instead to drink from his wineskin or play his bagpipes while Simon shoots poison darts at enemies. 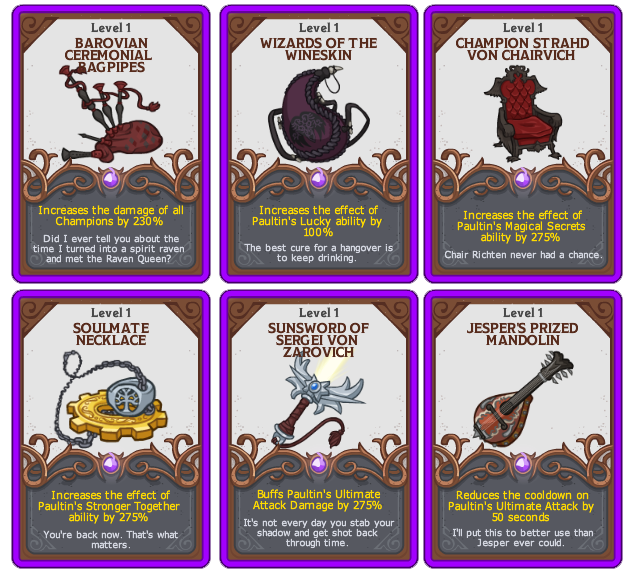 When you want to add Paultin to your formation, you can swap him with Jarlaxle (Slot 4). For more info, check out Paultin's Official D&D Beyond Character Sheet! DCA fans may have noticed that our Paultin has lower stats than he does on the show. 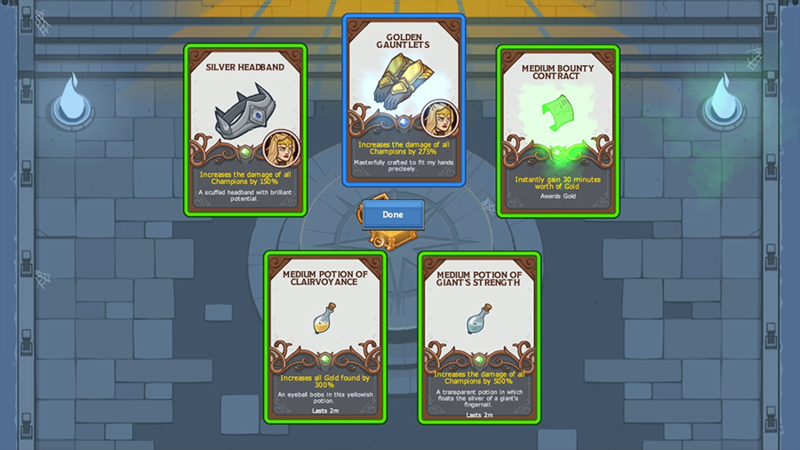 Like with Evelyn's release last year, we needed to dial Paultin down a bit for Idle Champions to allow design space for future Champions and abilities. Anyone who attended PAX West last August/September or PAX South earlier this month may have already seen the Dice, Camera, Action! poster created by one of our artists, Michelle, which included the first 'sneak peek' at Paultin in Idle Champions. When it came time to finish designing Paultin and complete his animations, one of our Senior Artists, Alexis Theroux, finalized the version of Paultin for the game. Alexis took inspiration from Nate Sharp's cosplay of Paultin and some of the cast's favorite pieces of fan art to do the design. Nate gave us great feedback as we worked closely to bring 'The Bard Who Goes Hard' to life. 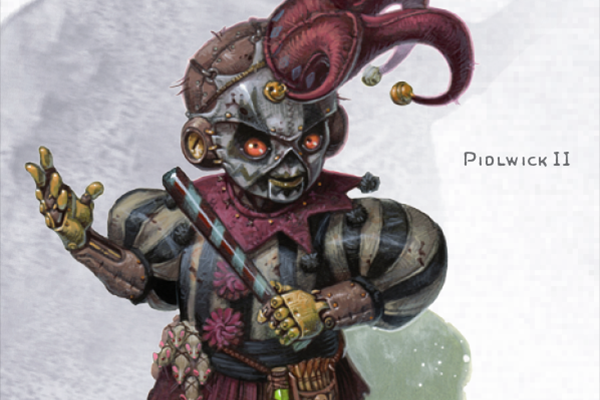 When it came time to Simon, we chatted with Chris Perkins and went back to the actual Curse of Strahd book and the art for Pidlwick II. Chris, Anna Prosser, and Nate had a few suggestions on how to tweak Simon's appearance, and that's how our Simon came to be! Paultin proved to be an extremely tough nut to crack in terms of design. 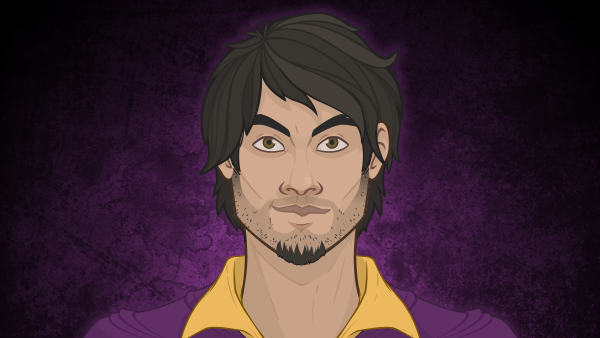 As fans of DCA, we definitely wanted to do him justice - but at the same time, Nate's portrayal of Paultin is not easy to emulate in our game. How do you represent a character who is essentially the Waffle Crew's version of Deadpool? 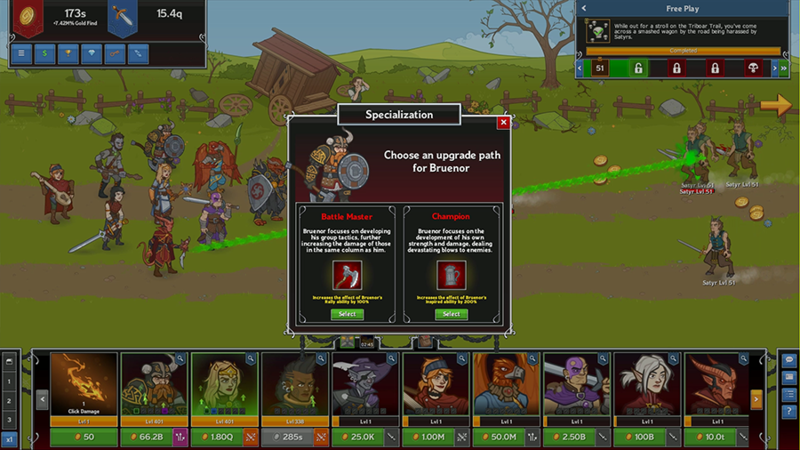 Then there was the added complexity of just how many Bard Champions we already have in Idle Champions, with Paultin joining a roster that already includes Deekin Scalesinger, Calliope, Vlahnya Um'vairar, and Birdsong. 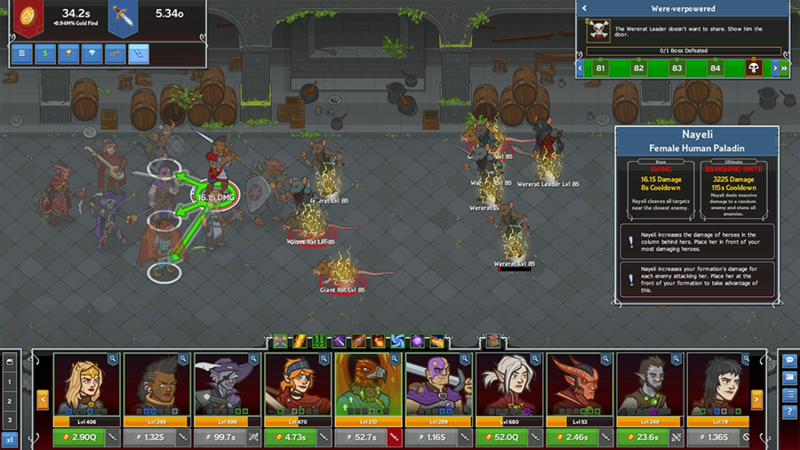 Adding another Bard when Deekin (and his Troubadour Troupe ability) are already so popular while still doing something unique for Bards was a definite challenge. Ultimately we looked at past episodes of Dice, Camera, Action and how Paultin/Nate reacted to events to find our inspiration. I knew that Thunderwave had to be an important part of Paultin's design, likely his Ultimate Ability based on how Paultin has used the spell at key moments throughout the series. I also knew that I wanted to include Simon, Paultin and Evelyn's adopted Murderbot son from their time in Barovia, to the design. It felt right to include him, and to have Simon shoot poison darts while Paultin sometimes chooses not to attack or engage enemies at all (opting instead to either drink from his wineskin or play the bagpipes) while at other times Paultin attacks multiple enemies at once. With those starting points a design for Paultin started coming together. Playing off the Waffle Crew's dysfunctional party dynamic, we opted to have Paultin support the party based on how many allies are around him. We don't really have the kind of game where a lot of Paultin's signature spells like Counterspell and Crown of Madness really work, so we leaned into his College of Lore subclass to focus on increasing party damage through his mastery of Magical Secrets. We didn't stop there with adjacency-based abilities — we also based Lucky, Paultin's Gold Find ability, off how many Champions are adjacent to him, with an ability called Edgy to increase the potency of Magical Secrets whenever Paultin is on the edge of a formation. Get it? Edgy? 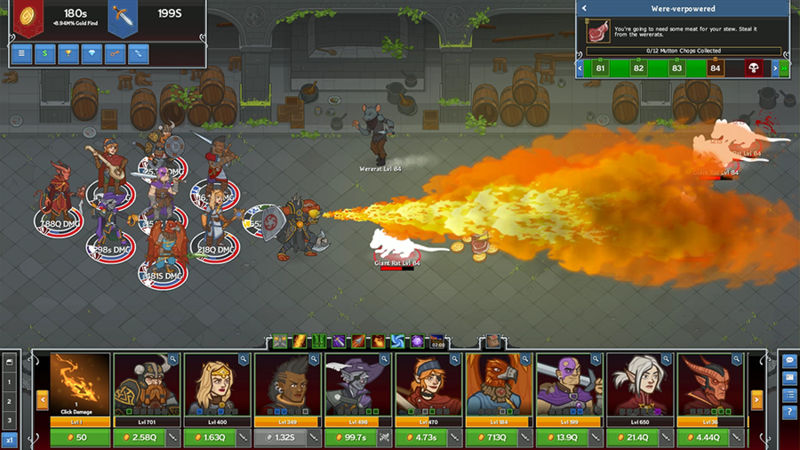 Finally, we wanted to include another ability that represented the unity of the Waffle Crew in the form of Stronger Together, a buff to Strix, Diath, Evelyn, and Paultin that increases based on how many of them are in the formation. Edgy — increases the effect of Magical Secrets by 100% when Paultin is on the edge of the formation. 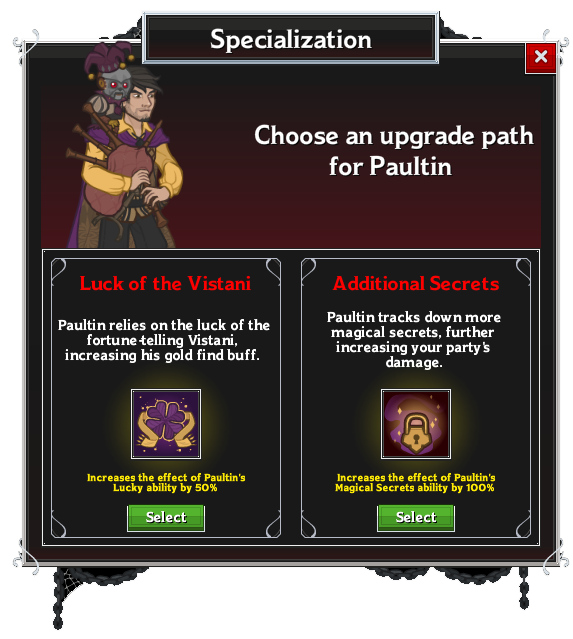 Specializations for Paultin Seppa are surprisingly straightforward: you can either go with Luck of the Vistani to further increase Paultin's Gold Find or you can go with Additional Magical Secrets to increase the effect of Magical Secrets. For those of you who love setting up your Gold Farming Formation overnight, it's hard to find a better ally than a lucky Vistani! Luck of the Vistani — Increases the effect of Lucky by 50%. Additional Magical Secrets — Increases the effect of Magical Secrets by 100%. Paultin is so well known for his epic Thunderwave casts that we knew from the get-go that it had to be his Ultimate Ability. Thunderwave — Paultin leaps to the front of the formation, drawing and swinging the Sunsword while a shockwave shoots out from the front of the formation, stunning enemies, dealing massive damage to them, and slowing their movement speed by 50% for five seconds. This spell deals bonus damage based on the current boss/enemy enrage multiplier. Bagpipes — Paultin Seppa's instrument of choice needs no introduction, though we do struggle to remember when the last time he played them was? Wineskin — Is there ever a time Paultin doesn't have a wineskin handy? 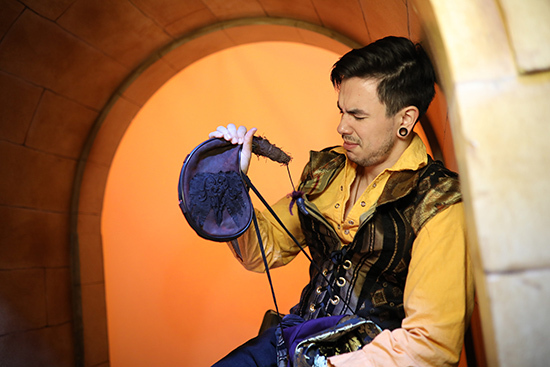 This one in particular is even a part of Nate's Paultin Cosplay! Strahd von Chairovich — Animated by Paultin for the Chair Battle with Strix's 'Chair Richten' in Episode 101. The Sunsword — The sentient weapon, once wielded by Sergei von Zarovich, brother of Strahd von Zarovich, and given to Paultin by Ezmerelda in Episode 31. Mandolin — The magical mandolin Paultin stole from Jesper while in Barovia's past, which was eventually fed to a Dragon Turtle in Episode 92 along with Nit Luap/Evil Paultin. Paultin is the fifth(!) 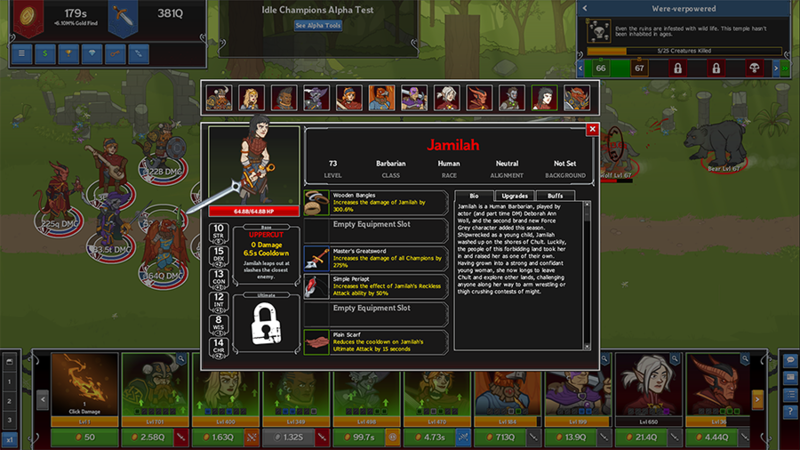 Bard to join Idle Champions, but possibly the most important as we finally complete the Waffle Crew. We are really happy with how Paultin's design came together, and feel like he plays differently enough from the other Bards to be unique and is a worthwhile swap in Slot 4. He supports the party while also increasing Gold Find and bringing a truly powerful ultimate to the table, possibly justifying a new kind of Champion formation since Slot 4 will now be a possible buffing/support slot to consider.